Immaculately maintained, top floor one-bedroom apartment set within the modern new built development in Harlesden, boasting large private balcony and a secure off-street underground parking. 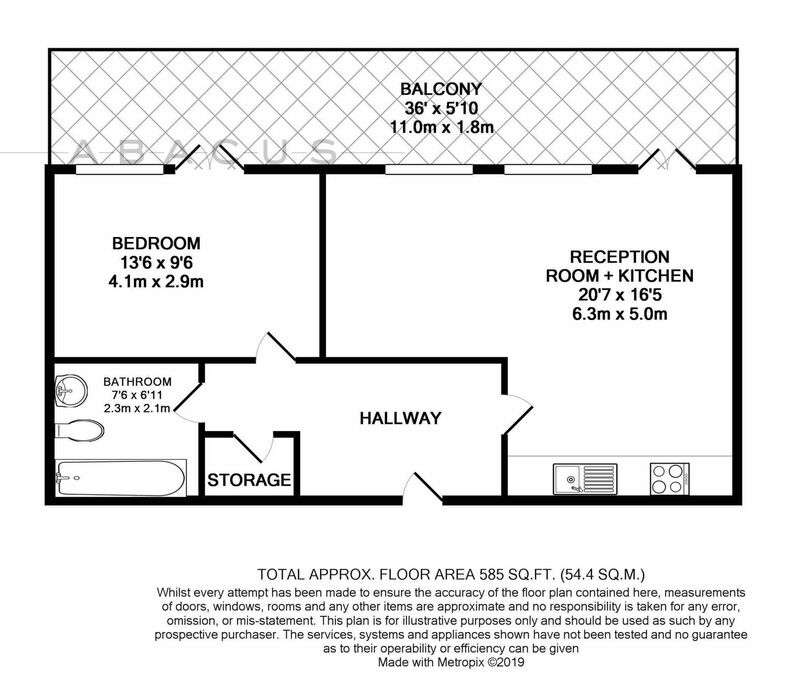 This specious flat offers modern contemporary living space with abundance of natural light, and compromises of a fully tiled bathroom, good size bedroom, open plan living room/ kitchen as well as inbuilt storage. The terrace can be directly accessed from the bedroom and/or the reception room via the floor-to-ceiling windows/doors. The flat is located within an easy reach of Harlesden station and the numerous bus routes providing excellent links into Central London. This would make a perfect first time buy or rental investment.